u003culu003eu003cli style=”margin-left:40px”u003eSupports shine and systemic health in the skin and coat of cats and dogsu003c/liu003eu003cli style=”margin-left:40px”u003eSupports skin healthu003c/liu003eu003cli style=”margin-left:40px”u003ePromotes shiny and glossy coatsu003c/liu003eu003cli style=”margin-left:40px”u003eMaintains hair shaft and follicleu003c/liu003eu003cli style=”margin-left:40px”u003eProvides show animals with the ‘competitive edge’u003c/liu003eu003c/ulu003eSkin and Coat Tonic is a 100% safe, non-addictive natural herbal remedy containing ingredients especially chosen for their supportive function on the skin and coat. Regular use of Skin and Coat Tonic will quickly help to support shine and systemic health in the skin and coat, leaving your pet looking and feeling in peak condition.u003cbru003eu003cbru003eThe skin is the largest organ of the body. It is flexible, waterproof, and covers the entire outside of the body. 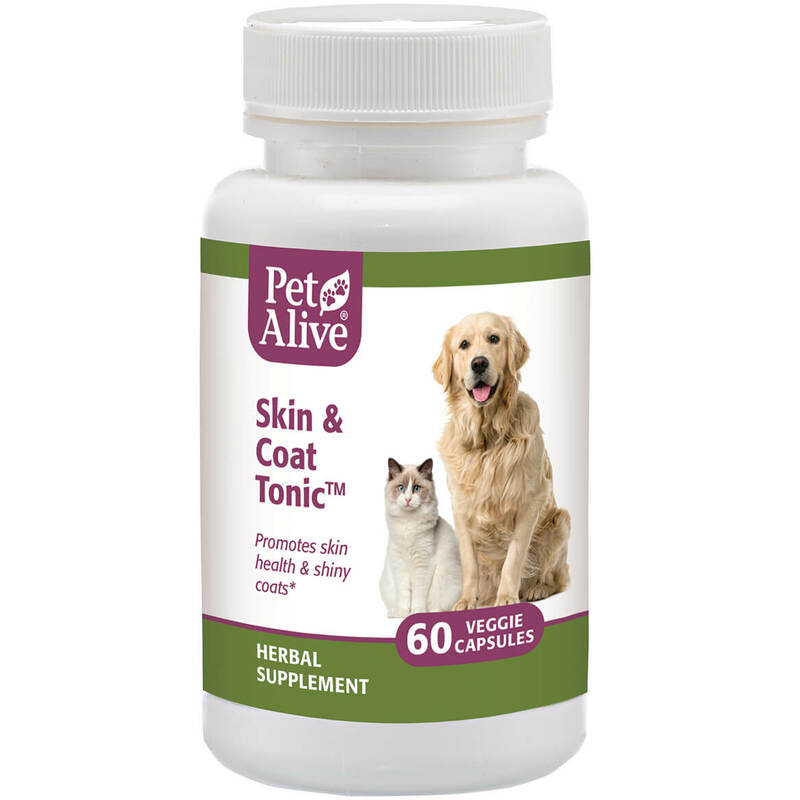 It performs several important roles, including acting as a barrier, regulating influence between the outside environment and the controlled environment within our pets’ bodies, as well as supporting the liver, kidneys and intestines.u003cbru003eu003cbru003eSkin and Coat Tonic is also a benefit for ‘show pets’ who need a ‘beauty boost’ before competitive events.u003cbru003eu003cbru003eAll PetAlive products are manufactured in FDA-registered and cGMP-compliant pharmaceutical facilities under the supervision of an expert team of herbalists, naturopaths, homeopaths and responsible pharmacists.u003cbru003eu003cbru003e* These statements have not been evaluated by the Food and Drug Administration. This product is not intended to diagnose, treat, cure or prevent any disease. u003culu003eu003cli style=”margin-left:40px”u003eTemporarily relieves symptoms of acute sinusitis, including blocked sinuses, sneezing and runny nose in petsu003c/liu003eu003cli style=”margin-left:40px”u003eTop remedy for allergy-related nasal congestionu003c/liu003eu003cli style=”margin-left:40px”u003eCalms swelling of the tissue lining the sinuses, reducing sinus congestionu003c/liu003eu003cli style=”margin-left:40px”u003eReduces chronic sneezing and runny nose (discharge)u003c/liu003eu003cli style=”margin-left:40px”u003eReduces facial pain or pressureu003c/liu003eu003c/ulu003eSinu-Rite is the leading natural remedy for acute sinusitis in cats and dogs. 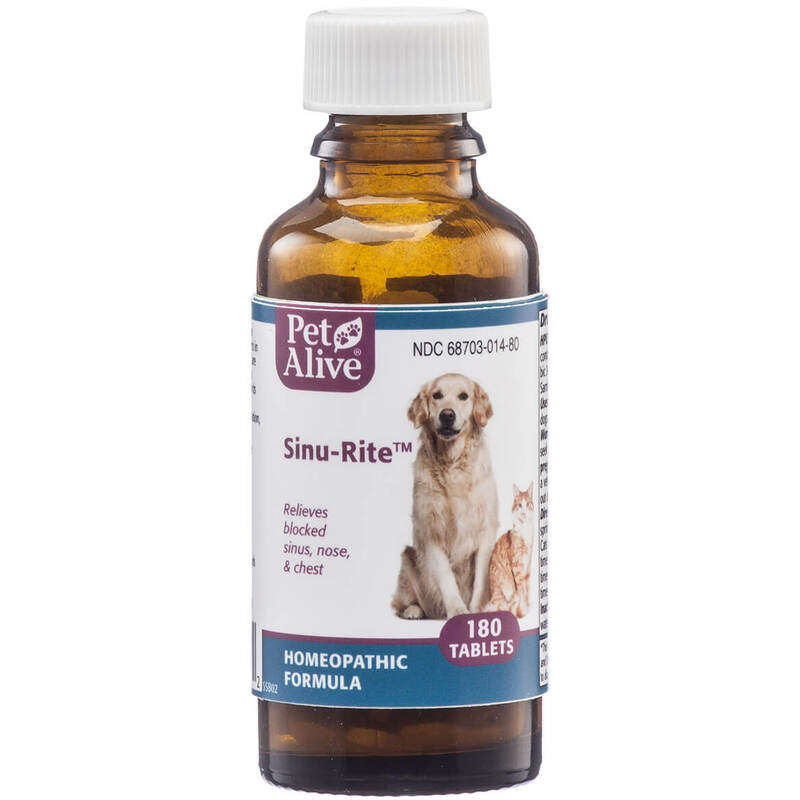 It is a safe, non-addictive, natural remedy containing 100% homeopathic ingredients specially selected to temporarily relieve canine and feline sinus problems. Formulated by our team of experts in natural medicine, Sinu-Rite effectively relieves congestion, pain or pressure in the forehead and discomfort around the eyes, loss of smell, and nasal discharge.u003cbru003eu003cbru003eA powerful homeopathic formulation for the discomfort associated with symptoms of acute sinusitis, Sinu-Rite uses a unique, proprietary blend of highly diluted natural substances to relieve allergy-related nasal congestion in your pet. Natrum muriaticum (Nat mur) has a long history of providing successful relief for pets experiencing difficulty breathing, that have watery discharge or excessive mucus.u003cbru003eu003cbru003ePresented in convenient tablet form, Sinu-Rite can be crushed, sprinkled on the tongue, or taken whole, and is easy to administer without fussing or fighting. 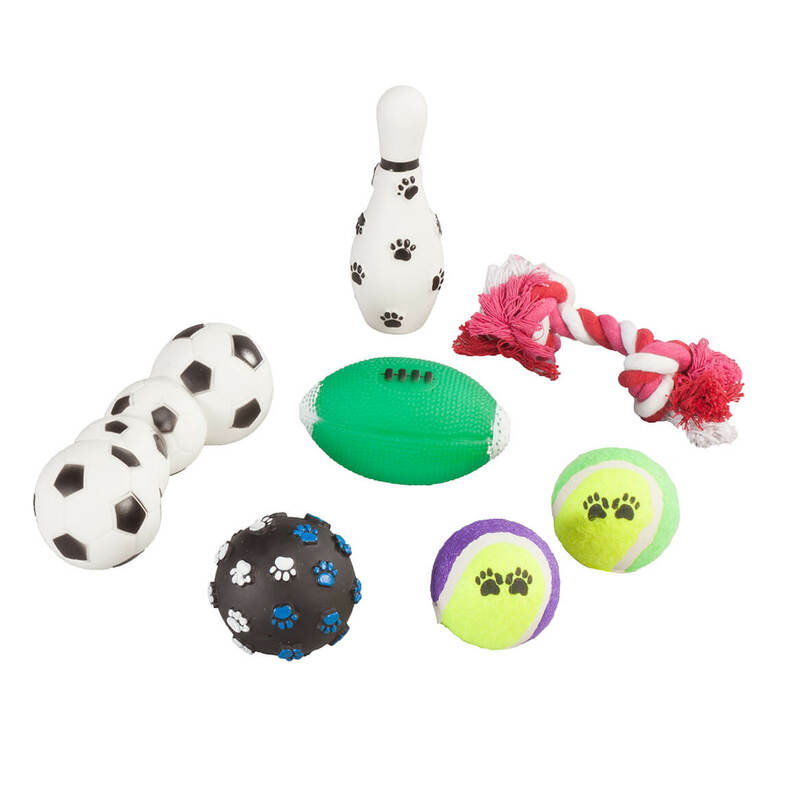 Regular use can help to temporarily relieve nasal congestion in dogs and cats, which can also be attributed to snoring, open mouth breathing and/or labored breathing, and constant pawing at the face. Acute sinusitis commonly lasts 10-14 days. If symptoms are still present after two weeks, please consult a healthcare provider as this may indicate chronic sinusitis.u003cbru003eu003cbru003eAll PetAlive homeopathic products and biochemic tissue salts are manufactured in an FDA-registered and cGMP-compliant facility under the supervision of qualified homeopaths and responsible pharmacists. 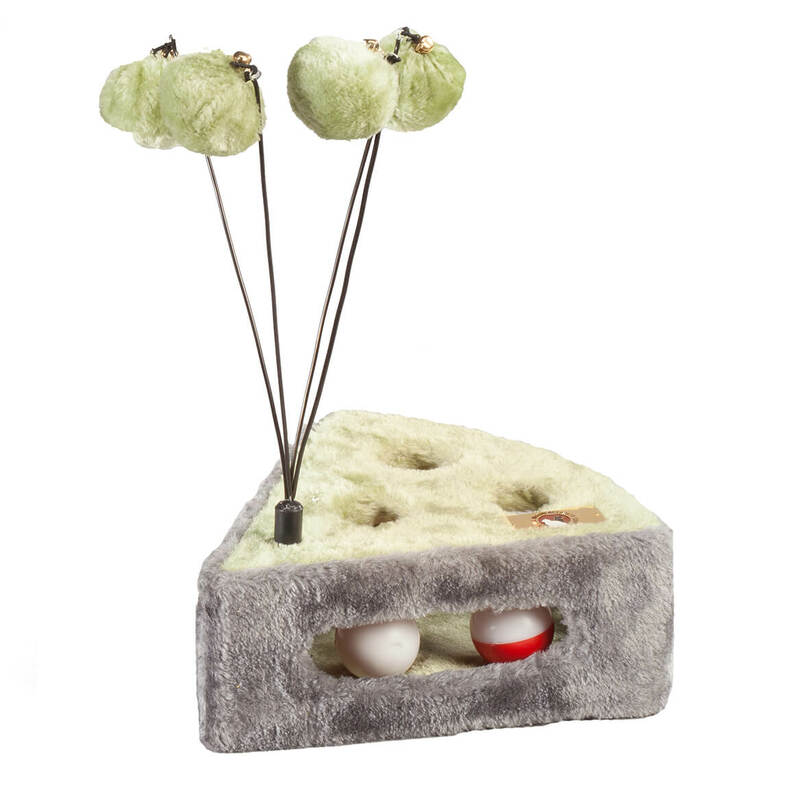 Individual ingredients are listed in the Homeopathic Pharmacopoeia of the United States (HPUS).u003cbru003eu003cbru003e* These statements have not been evaluated by the Food and Drug Administration. This product is not intended to diagnose, treat, cure or prevent any disease. u003culu003eu003cli style=”margin-left:40px”u003eMaintains musculoskeletal system health for regular, easy movementu003c/liu003eu003cli style=”margin-left:40px”u003ePromotes muscle and joint healthu003c/liu003eu003cli style=”margin-left:40px”u003eSupports strong, healthy bonesu003c/liu003eu003cli style=”margin-left:40px”u003eContains Glucosamine and Devil’s clawu003c/liu003eu003cli style=”margin-left:40px”u003eSupports liver functionu003c/liu003eu003c/ulu003eMuscle & Joint Support is a 100% herbal remedy specially formulated to help promote healthy muscles, joints and bones. Regular use will help to maintain health in the musculoskeletal system without known side effects.u003cbru003eu003cbru003eAs part of a holistic approach for your pet, natural remedies can help to support a healthy immune system, encourage systemic cleansing (important for healthy joints and muscles), support the skeletal system and generally support the overall health of your animal. 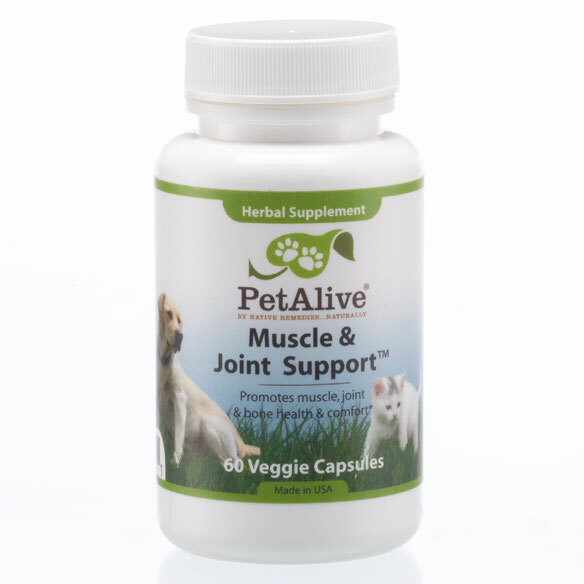 Natural remedies have been used for hundreds of years to support joint and muscle health.u003cbru003eu003cbru003eAll PetAlive products are manufactured in FDA-registered and cGMP-compliant pharmaceutical facilities under the supervision of an expert team of herbalists, naturopaths, homeopaths and responsible pharmacists.u003cbru003eu003cbru003e * These statements have not been evaluated by the Food and Drug Administration. This product is not intended to diagnose, treat, cure or prevent any disease. u003culu003eu003cli style=”margin-left:40px”u003eSupports dental health and overall systemic functioning in petsu003c/liu003eu003cli style=”margin-left:40px”u003ePromotes healthy teeth and gumsu003c/liu003eu003cli style=”margin-left:40px”u003eSupports the immune systemu003c/liu003eu003cli style=”margin-left:40px”u003eMaintains health in bones and teethu003c/liu003eu003cli style=”margin-left:40px”u003eSupports gum health u003c/liu003eu003c/ulu003eGumz-n-Teeth is a 100% herbal formula taken internally that helps support general dental health in pets. This formula also has a positive effect for systemic functioning as a whole.u003cbru003eu003cbru003eMaintaining your pet’s dental health is a very important part of caring for your pet. 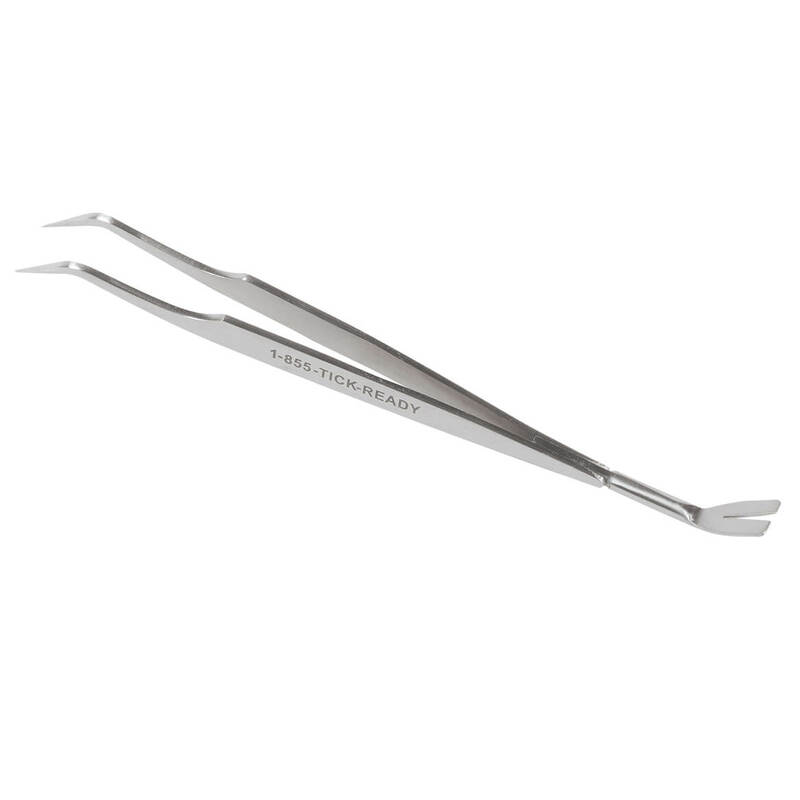 Calculus is the brown build-up of plaque found extending downwards on the tooth from the gum line.u003cbru003eu003cbru003eDogs and cats make much fuller use of their teeth than humans do – using them in ways we usually use our hands. 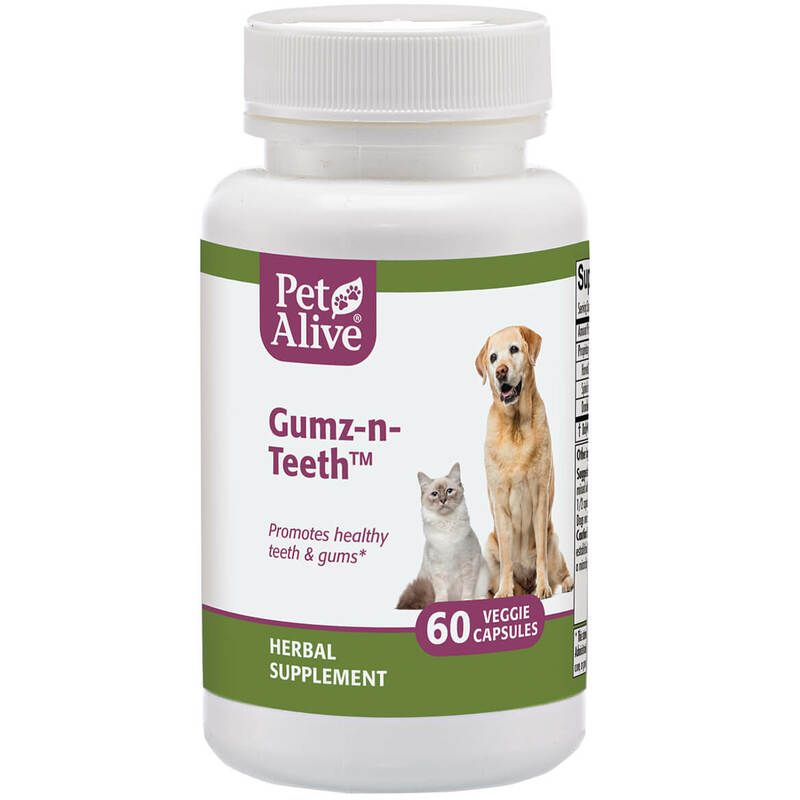 It stands to reason, therefore, that maintaining canine and feline dental health is essential to their well-being (and of course pets can’t wear dentures).u003cbru003eu003cbru003eAll PetAlive products are manufactured in FDA-registered and cGMP-compliant pharmaceutical facilities under the supervision of an expert team of herbalists, naturopaths, homeopaths and responsible pharmacists.u003cbru003eu003cbru003e* These statements have not been evaluated by the Food and Drug Administration. This product is not intended to diagnose, treat, cure or prevent any disease. u003culu003eu003cli style=”margin-left:40px”u003eEffectively mitigates the effects of long-term exposure to high levels of cortisol in petsu003c/liu003eu003cli style=”margin-left:40px”u003eSupports the health of your pet’s adrenal glands and maintains normal functioningu003c/liu003eu003cli style=”margin-left:40px”u003eSupports healthy energy, digestion, blood pressure and blood sugar levelsu003c/liu003eu003cli style=”margin-left:40px”u003eSupports normal urination and healthy fluid and electrolyte balance in the bodyu003c/liu003eu003cli style=”margin-left:40px”u003ePromotes health and strength of the skin and coatu003c/liu003eu003c/ulu003eu003cbru003eCushex Drops-S™ is a 100% safe and effective, non-addictive, natural adrenal remedy formulated by our team of experts in natural medicine to promote adrenal and pituitary gland balance and health in dogs. Cushex Drops can make all the difference to adrenal health, without the risk of serious side effects.u003cbru003eu003cbru003eTo ensure the safety of Cushex Drops-S and provide the highest quality, most effective product, we use only Premium Whole Herb manufacturing. This process excludes the use of any chemical solvents during extraction and maintains the balance of the whole herb to give you the very best possible safety, quality and efficacy. This is unlike other products that use standardized extracts, exposing the ingredients to harsh chemical solvents and removing the supporting metabolites from the plant.u003cbru003eu003cbru003eCushex Drops-S™ contains a unique and scientifically chosen selection of herbs known for their beneficial effects on promoting balance in the endocrine system, specifically the HPA (hypothalamic-pituitary-adrenal) axis, thereby supporting many functions of the body. It can be used to help the body naturally mitigate the effects of long-term exposure to high levels of cortisol, supporting healthy energy, skin and coat, digestive health, and more.u003cbru003eu003cbru003eAll PetAlive products are manufactured in FDA-registered and cGMP-compliant pharmaceutical facilities under the supervision of an expert team of herbalists, naturopaths, homeopaths and responsible pharmacists.u003cbru003eu003cbru003e* These statements have not been evaluated by the Food and Drug Administration. This product is not intended to diagnose, treat, cure or prevent any disease. 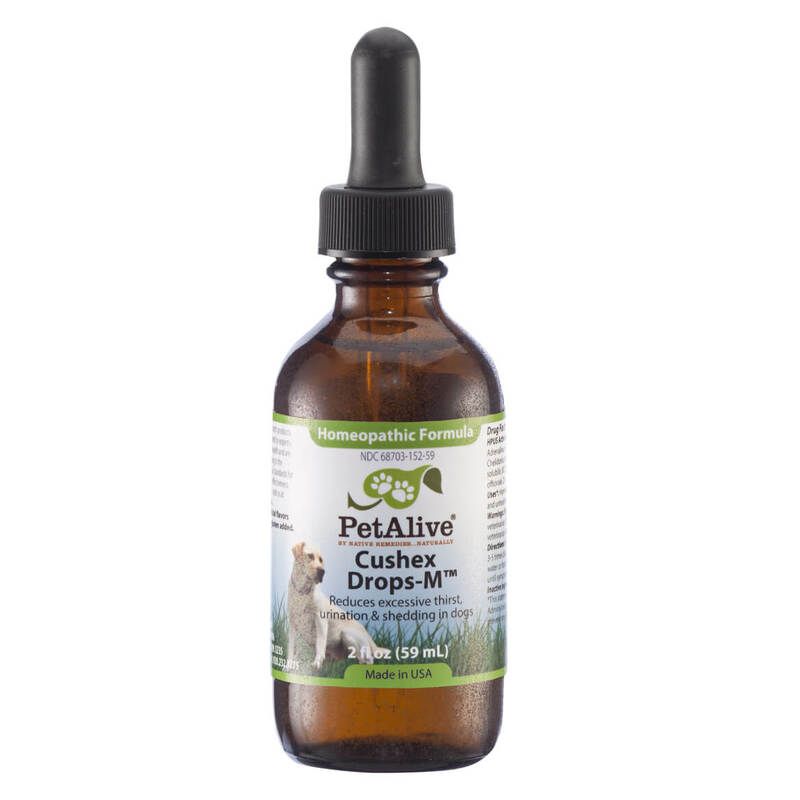 Effectively mitigates the effects of long-term exposure to high levels of cortisol in pets; Supports the health of your pet’s adrenal glands and maintains normal functioning; Supports healthy energy, digestion, blood pressure and blood sugar levels; Supports normal urination and healthy fluid and electrolyte balance in the body; Promotes health and strength of the skin and coat; 2 oz. u003culu003eu003cli style=”margin-left:40px”u003eReduces excessive thirst and urinationu003c/liu003eu003cli style=”margin-left:40px”u003eRelieves stomach upset, nausea, indigestion, heartburn and vomitingu003c/liu003eu003cli style=”margin-left:40px”u003eReduces minor pain in the stomach and liver areau003c/liu003eu003cli style=”margin-left:40px”u003eRelieves dry, rough, itching skin for improved appearance and a healthy, shiny coatu003c/liu003eu003cli style=”margin-left:40px”u003eImproves appetite and digestive functioningu003c/liu003eu003c/ulu003eCushex Drops-M is an effective homeopathic medicine carefully formulated to relieve the symptoms caused by an imbalance of the adrenal and pituitary glands. 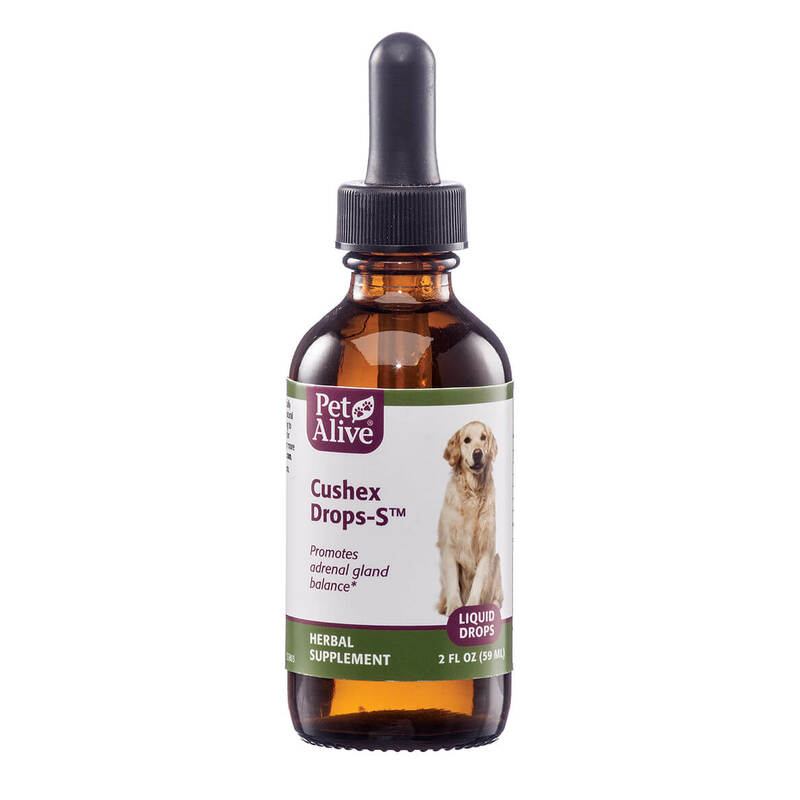 This remedy contains only premium herbs that are 100% safe for your dogs and is a non-addictive natural homeopathic remedy.u003cbru003eu003cbru003eCushex Drops-M is specially formulated to encourage detoxification and help relieve uncomfortable symptoms by draining toxins from the liver and kidneys. Detox can help your pet naturally mitigate the effects of long-term exposure to high levels of cortisol and the resulting symptoms like dry, rough skin, excessive shedding, thirst and urination, and many digestive symptoms.u003cbru003eu003cBru003eHerbal supplements and homeopathic medicines can play an important role in supporting the health and balance of your dog’s adrenal and pituitary glands. 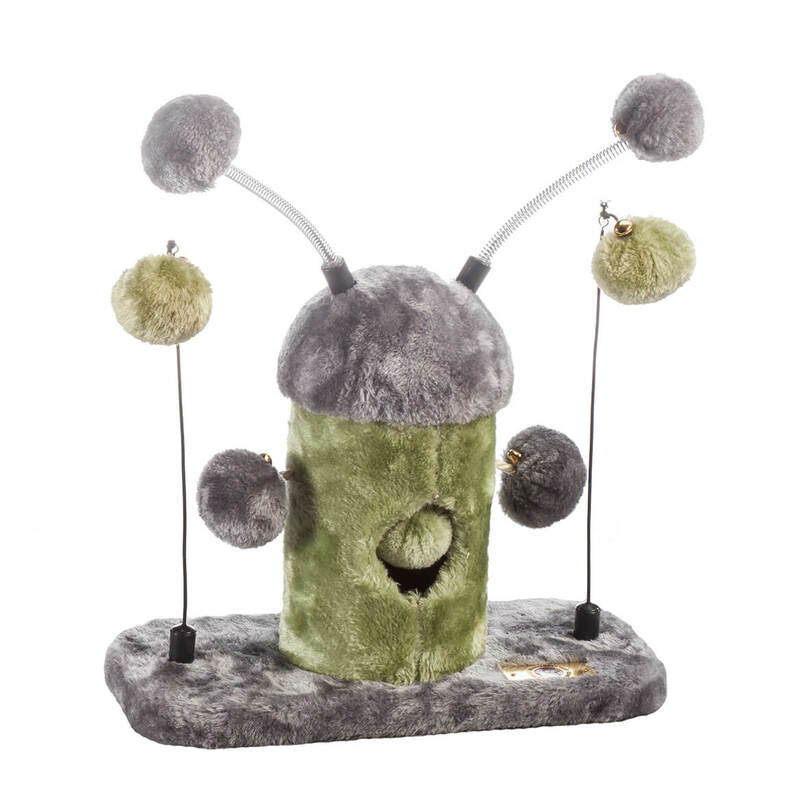 Due to the vital role these glands play in the daily comfort of your pet, it is fundamental to your dog’s immediate and long-term health to support the functioning of the adrenal and pituitary glands. By employing these cornerstones of a holistic and natural approach to wellness, you can help encourage a healthy and happy life for your pet. Our homeopathic medicines are easy to administer, and the serving can be adjusted to suit pets of all sizes. u003cbru003eu003cbru003eAll PetAlive products are manufactured in FDA-registered and cGMP-compliant pharmaceutical facilities under the supervision of an expert team of herbalists, naturopaths, homeopaths and responsible pharmacists.u003cbru003eu003cbru003e* These statements have not been evaluated by the Food and Drug Administration. This product is not intended to diagnose, treat, cure or prevent any disease. Reduces excessive thirst and urination; Relieves stomach upset, nausea, indigestion, heartburn and vomiting; Reduces minor pain in the stomach and liver area; Relieves dry, rough, itching skin for improved appearance and a healthy, shiny coat; Improves appetite and digestive functioning; 2 oz.